Born in 1967 in Laputta, Ayeyarwaddy Division, Myanmar, Soe Soe decided to devote his life to painting and to become a full time artist at the age of 18. 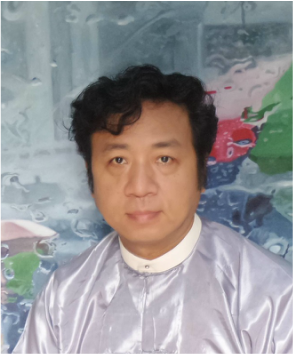 Since then, he has extensively exhibited is work in Myanmar and abroad, in Belgium, United Kingdom, Hong Kong, Malaysia, Nepal, Singapore, and USA. In the 2003 Myanmar Contemporary Art Exhibition, Soe Soe was chosen as the top 30 out of 296 artists, and his works were subsequently exhibited in the 2004 Myanmar Contemporary Art Exhibition. Soe Soe's work can be found in private and public collections, both in Myanmar and abroad.